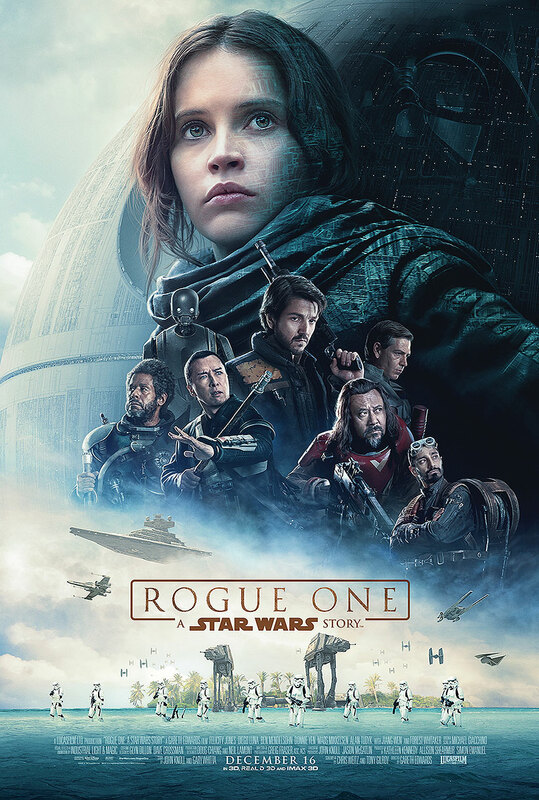 The pacing in the beginning is a little off, cutting between Jyn and a pilot (Riz Ahmed) with an important message, but the characters are well-established, and they are the greatest appeal of “Rogue One.” Jyn isn’t much of a talker. She’s defined more by action and internalized emotions, but when she does speak, she’ll often question the Rebels. Many of the film’s heroes live in the grey, which is where Jyn lies. It’s said she that used to want to make a difference, that she’d go up against the Empire at any cost. Along her journey, she changed, and we get to see Jyn get back into the fight. It’s a compelling arc, but she’s not the only well-defined character with her own distinct personality and arc. The relationship between Baze Malbus (Wen Jiang) and Chirrut Îmwe (Donnie Yen) is a surprising, funny and touching friendship that deals with faith. These two make up for a significant portion of the film’s emotional backbone. Less compelling are the villains, and that’s rarely something you can say about the Empire. Orson Krennic doesn’t live up to the bar set by previous Star Wars villains, but even taking the character on his own terms, he’s underwhelming. He’s worried about his position in the Empire, but we’ve seen that conflict before. Another part of the problem is that many of Mendelsohn’s scenes involve him talking to an ill-conceived CG character. It’s a serious distraction in the film. Despite ILM’s otherwise stunning work, this character pulls you right out of the gritty and tangible reality that Edwards, cinematographer Greg Fraser and all involved have created. The world building is top-notch. Edwards and the screenwriters show you the characters who previously lurked in the shadows of this huge universe. While “Rogue One” is a prequel, and its story isn’t as epic as the main series, it definitely expands the world in some impressive, clever and dramatic ways. The drastically different perspectives provide a new and unique view of this war, and Edwards does it make feel like war. “Rogue One” is one of the more intense Star Wars movies. Edwards shoots very subjective and visceral action. The opening alone, which is a quiet and suspenseful sequence, has a fly-on-the-wall approach with some immersive, up-close-and-personal shots and warm, palpable environments. When the camera is barely managing to keep up with the characters during the chaos of the battle sequence, it’s immediate and thrilling. The major third act battle makes up for some of the film’s problems, including a second act which slows down considerably and makes Cassian’s arc more calculated than natural. 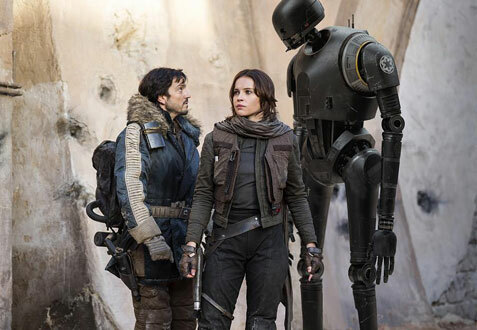 Not all of the characters in “Rogue One: A Star Wars Story” get their due, but the ones that do make Edwards’ film and the world of Star Wars more convincing.